Do you have existing videos; video footage and photographs? ClipCube will take your digital assets and make a professional video from them. Do you want to localize your video for a new market? ClipCube will add subtitles and a voiceover to make it suitable to be used in your new market. We can even add local scenes, music and titles ready to promote via social media and search engines. 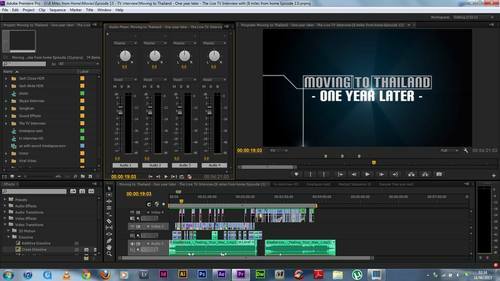 ClipCube provides an inhouse post editing service using Macs and Adobe suite to edit your movies. Our post editing team are both Thai and native English speakers. We also edit in French, Italian, Spanish, Chinese (Mandarin) and Russian languages. Just tell us how much footage you have, what you are looking for and we will do the rest.